Where is data being collected? 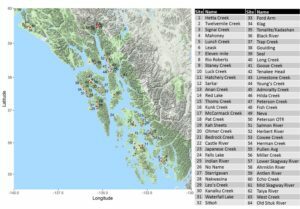 Many entities in the region are collecting stream temperature data, including federal and state agencies, tribal communities, and watershed and conservation organizations. 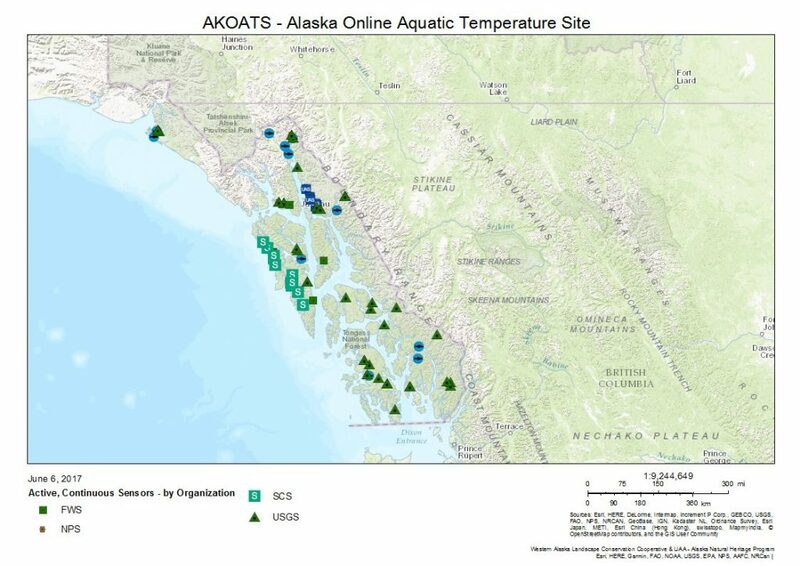 Information about many collection sites can be found on the Alaska Online Aquatic Temperature Site (AKOATS) and the Southeast Alaska GIS library. 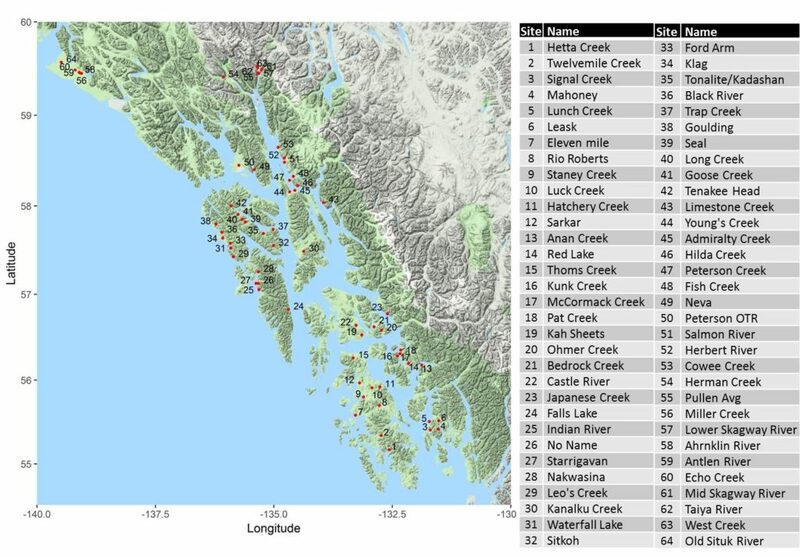 Explore current and historic monitoring sites and entities using the tools below. If your monitoring site isn’t included, consider sharing! Information about how to share your metadata can be found on the AKOATS website.